People who are born in the month of January are the best. They are definitely natural healers and they always help others. They empathize with others more than they sympathize. This quality of theirs helps them to understand the pain people around them are going through and. They are very warm and kind. They are selfless and do not expect anything from others. They do not judge people on the basis of the situation that they are in. They will go out of their way in order to help others even if that creates problems for themselves. 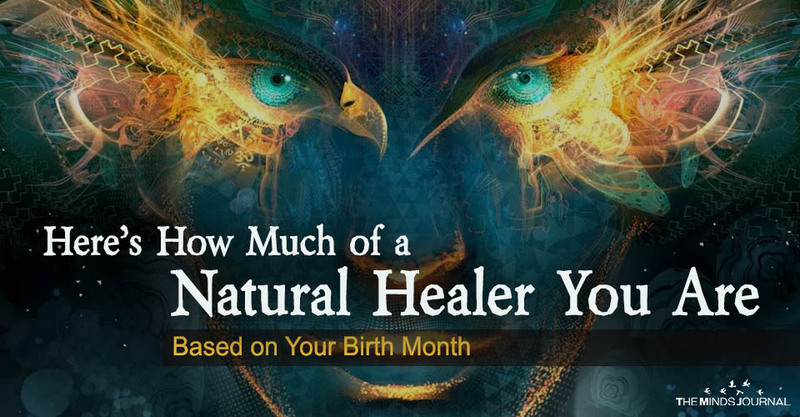 People who are born in the month of February are also natural healers. They are constantly in search of people who need their help and support. They are sympathetic, warm and kind human beings who want to make life easier for people who have been wronged in the past. They give people hope and promise them that they will no more have to hide in the dark. They never stop looking and they never give up hope. This will power and strength that they have to carry on is remarkable. Such compassion and enthusiasm makes them a born natural healer. People who are born in March can definitely have the ability to heal themselves naturally thereby taking good care of others. Depending on their state of mind, they can either choose to harm or help others. They are a bit whimsical and take time to come to a conclusion. But once they have made up their mind, they stick by it. They always try to heal others and free them of their intense pain. They leave no stone unturned. In order to help others in a better way, they themselves go through what other people are going through. People who are born in the month of April play a dual aspect in life. They are both destructive and healing in nature. It is an involuntary thing which happens in the heat of the moment. They are very lively people who are full of passion and emotions. They are never afraid to try out new things in life. People who are born in the month of April can also become very reckless at times. They act immaturely sometimes and their actions can have destructive implications for people. They are naturally very unpredictable and they often like to improvise on their actions. If a person had suffered deeply and no one knows about it, by all means, that person should find an accepting, empathetic person to talk to. The person shall feel a wave of pain, followed by ease, lightness, and freedom. After two or three times, those emotional waves will begin to subside. That’s the time when a person walks out of the wallow and sees himself as a hero. Sadly people who are born in the month of May are not the kind of people a person should talk to with the aim of recovering from an emotional would. They are very good natural teachers but are not capable of fixing emotional damages.